Right to rectification – You can update your information by emailing us. To start the Free Quran Trial class service, Learn Quran Kids requires you to provide personal identifiable information. Some of the information is provided at Trial registration time and some later via phone or emailing. Some of this information is mandatory for the basic processing of your account while some is optional. This information is required so that we can contact you once we have scheduled the Quran Trial Class. This email will be used as the primary mode of communication between you and our institute. This helps us to know your timezone and also guides us on the public holidays you might be taking as different countries have different public holidays schedule hence required. This is the type of service you can choose from which is either a Hifz or Quran reading course. This helps us schedule the right teacher for the class. This is the type of subscription you can choose from which is either Free, Reduced or Standard subscription. This help us know how much payment is expected from you. This is the time when you want the Trial Quran class to be taken for you or your kids. This helps us schedule the class. This is the languages which you or your kids can speak or understand. This helps us choose the right teacher for the Quran class. This is your Skype ID which we will use to conduct the Quran class. If you have no Skype ID or have some restrictions over Skype usage in your country then you can let us know and we will arrange a different mode of class. This is your phone number which helps us call you to efficiently schedule the Trial Quran Class. You can also contact us by providing your Email and Phone and the Question. Email and Phone is required so that we can respond you back with answers. All of your personal data is stored in our accounts record in a secure manner. Back up of your data is also done. All of your information is transferred from your machine to our servers over TLS hence providing end-end confidentiality and data integrity protection ensuring the information you sent to us is not intercepted by anyone in transit and it arrives at the server accurately. This is true also for any personal data moving from our servers to any 3rd party service providers. We use modern and secure versions of the TLS and hence SSL v2 and 3 are blocked. There is still some set of personal data which our service provides (processors) keep outside of EU region. See section Information Sharing below for more details. We work with very few service provider companies that help us run Learn Quran Kids as an effective business service. These companies provide services such as processing card payments and optionally sending marketing emails on our behalf relating to our products/services. In some cases, these companies have access to some of your personal information in order to provide services to you on our behalf. It is important to note that they are not permitted to use your information for their own purposes that is they only act as data processors. If we merge with or are acquired by another company or if all or a substantial portion of our assets are acquired by another company, in those cases your information will likely be one of those assets that is transferred. Session Cookie – This cookie is used to maintain your session on Learn Quran Kids. To help us understand how users use our website we engage different service providers to track the user activity whilst on our website, thereby helping us to provide the best user experience and content. This tracking is done via cookies and are provided by Google, WebEngage and PureChat. Note that all tracking is done anonymously. 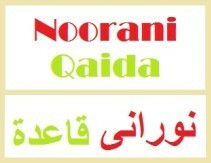 Note Learn Quran Kids does not store advertising cookies of any type. If you have to know existing information or want to provide us know information which could be related to the form you submitted or classes simply contact us using the contact information below. We provide opt-out information in all marketing email messages we send via an “unsubscribe” link which is set in the bottom of the emails. If initiated, it may take a day to opt out. Your account held data is kept at all times unless a user requests via email to delete his data. If you were a paid customer, then your information may be kept for accounting purposes as per the law. Any account deletion requests will be processed within 7 days. As per your request we will delete all of your account information including your billing, documents, and activity logs. You will no longer receive any marketing or commercial emails. Any requests to restrict-processing will be processed within 3 days. For account deletion or restricting processing of your information, a formal request is required from you. You must send an email using the same email account which was used to register for the trial class. You will be informed once your data is deleted. If you need a copy of your personal information in machine ready format then you must send an email using the email account which is configured. We will process your request in 14 days and return the information in CSV format where possible. All of the website content is safe for kids of all ages.